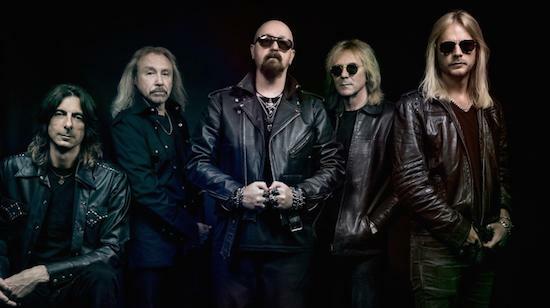 With their new album, entitled Firepower, due out next month, Judas Priest's Rob Halford and Glenn Tipton will be stopping by our Facebook page for a live lunchtime chat this Monday (February 12) with our metal columnist Louise Brown. Kicking off at 12.30pm GMT and running for around an hour, the pair will answer questions on their upcoming album and all manner of other things, and you can get your questions in to them by joining us on the live stream on Monday and posting in the comments. If you want to make sure you don't miss the live stream, just head over to our Facebook page here and make sure that you have notifications set to 'On' underneath the 'Following' tab on the page. See you then!